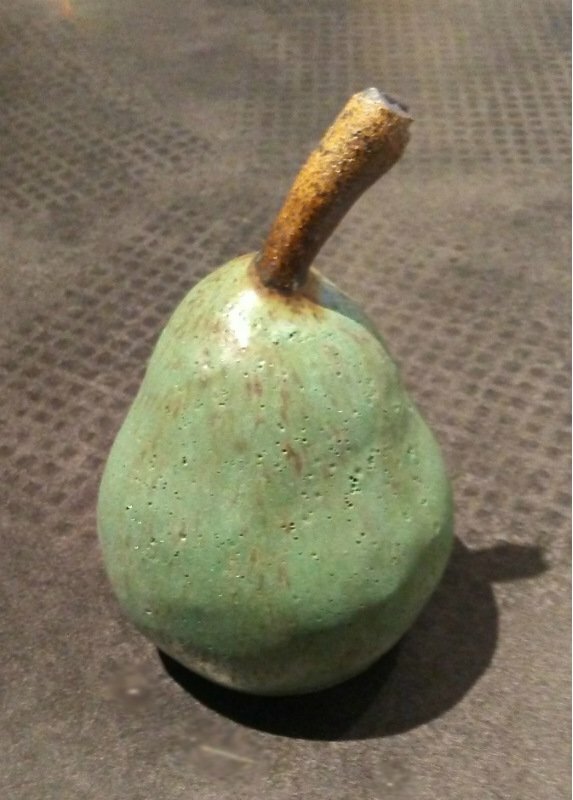 A handmade ceramic pear by Evie Lichter of Ann Arbor, MI. About life-sized at about 4.5 - 5.5" high. Each is different is shape and size, but we have grouped them by color. If you would like to see the exact piece you'll receive, please contact us. Pears are sold individually.